Sunbathing sea lions are some of the 200 marine animal species that call Whytecliff Park home. Situated just west of West Vancouver's Horseshoe Bay neighborhood, the park is most famous for its incredible diving opportunities. 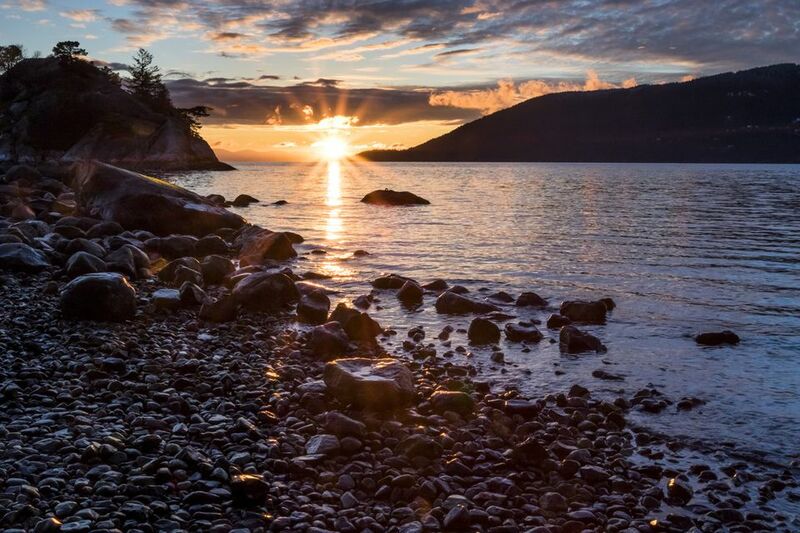 However, it is also a beautiful spot for non-divers to enjoy the wildlife and rugged coastline of Howe Sound. Accessible via car or transit, the park has a history of being an important part of West Vancouver's natural beauty. Covering 15.63 hectares, the Whytecliff area was established in 1909 as White Cliff City and in 1914, Colonel Albert Whyte requested that the name be changed to Whytecliff. The park was originally known as Rockcliffe Park and was developed by W.W. Boultbee in 1926. In 1939 the Union Steamship Company purchased the 50 acre Boultbee estate and the shipping company operated a Bowen Island Ferry from the park between 1939-1941 and 1946-1952. In 1993 the ocean surrounding the park became Canada’s first saltwater Marine Protected Area (MPA). MPAs are established to conserve ecologically important areas of the ocean, rivers, and lakes to protect the species, habitats and ecosystems of the water. Whytecliffe Park was Canada's first ocean MPA and this special protection has allowed the marine life to flourish — making it a safe haven for wildlife and a spectacular location for diving. Hiking: Watch out for wildlife on a short hike around the park, head to the northwest corner of the gravel overflow parking lot to find the trails. At low tide it’s possible to carefully walk across the rocks to the bluffs of Whyte Island — keep an eye on the tide though so you don't get stuck out there. Depending on the time of year, you may spot sea lions basking on rocks in the ocean or you may see the resident orcas in the summer months. Swimming: Swimming is a popular pastime in the warmer summer months and the pebbly sand beach gets full sunshine for most of the day. The water never really warms up but is clean for swimming — check local news websites or look out for park board signs advising if any warnings are in effect for the area. Diving: Famous for its amazing cold water diving opportunities, Whytecliff Park offers diving for all levels, from beginners classes in the inner cove area to more advanced adventures in Queen Charlotte Channel. Wildlife includes squid, octopuses, orcas, dolphins, fish and coral life. The cold water is clearest between April and October and local dive shops can arrange rentals, lessons and tours. As you are in a Marine Protected Area then you must be aware of any restrictions and treat the wildlife with respect — the dive shops can help you. Beginner classes tend to take place at the beach by the facilities and there is not much sea life to see here due to the volume of traffic and slightly silty water. However the areas to the east and west of the main beach have good viewing opportunities and are only a five-minute surface swim from the beach and a depth of around 15 feet (5 meters). More advanced divers can explore sloping reefs and a near-vertical dive wall a little bit north of the main beach. Public washrooms are available and the patio of The Whytecliff Kitchen is the ideal place to enjoy lunch with a view. There is a playground for kids, two tennis courts, and a large grass field, which is ideal for playing ball games on. You'll also find picnic spots around the park, so be sure to bring supplies. Horseshoe Bay is the nearest sizeable place and there you'll find cafes, restaurants, stores, and ferries to Bowen Island, Sunshine Coast and Vancouver Island. Accessible by car or transit, the park is a little bit tucked away and reached via a residential area but it is worth the effort — ask a friendly local if you get lost! If you're driving from Downtown Vancouver, simply take West Georgia Street and cross Lions Gate Bridge, then take Marine Drive towards West Vancouver. Turn right at Taylor Way and exit onto Highway #1 westbound. Take exit #2 for Eagleridge Drive, follow the road and make a left after the overpass onto Marine Drive. After a roundabout, drive through a residential area to reach Whytecliff Park. Transit involves around a mile walk from the nearest bus stop in Horseshoe Bay. Catch bus #257 (Horseshoe Bay Express) from Downtown near Granville and Georgia or from North Vancouver’s Park Royal. After the bus leaves the highway, there is a large roundabout on Marine Drive and Nelson Avenue, exit the bus here and walk along Marine Drive through a residential area until you reach the park.